Home » Gold Breaks Out! Is It Just Getting Started? Gold has had an excellent year so far, but one famed investor is saying that the rise may be just the beginning. Find out why here. This week, Your News to Know gathers the most important news stories about finance and the gold market. Stories include: Commodities expert says gold will reach $1,500 by year’s end, gold’s recent surge reminiscent of late 2007, and Russia and China are key drivers of central bank gold buying. Nobody can argue that gold has had anything but a spectacular year so far; after emerging as 2016’s best asset and posting major gains already, the metal has kept climbing to recently breach a key level at $1,300. But one noted commodities expert believes that the rally is far from over. In a recent interview with CNBC’s Fast Money, Dennis Gartman said he sees gold going 10-15% higher by the end of the year. Gartman believes that the metal is in a bull market and should have no trouble reaching $1,500 per ounce despite past struggles to conquer multiple key levels in succession. Gartman finds gold to have a solid fundamental case thanks to central banks and their policies. With monetary authorities worldwide favoring easy monetary policies, which reduce the value of their currencies, he believes that gold should have no trouble breaking out, especially when adding consequent low interest rates to the mix. In spite of gold still being down 33% from its 2011 peak, Gartman thinks that the bear market in the metal is officially over. As for exposure, he advises investors to own gold in yen, euro and dollar terms to get the most out of the rally; according to him, this will be the optimal spot should any correction emerge. There’s more to look at in gold’s recent rally than the widely-reported 22% gain: The metal outperforming the market so dramatically when stocks are up is a rare sight. In fact, CNBC’s Alex Rosenberg points to only one other case of this going as far back as 1980: Pre-crash 2007. Before the collapse, gold outperformed the S&P by 20% despite the latter being up. Later on in 2007, gold would surge further along with the fear-measuring CBOE Volatility Index while stocks kept their footing. Does this mean we are in for another market crash? Nobody can predict these things with certainty, but many Americans are coming to appreciate gold for its ability to sniff out bad news early on. Max Wolff, chief economist at Manhattan Venture Partners, told CNBC that “fear about a lot of really negative news flow” is making people nervous and making them look at gold as a potential investment. While a falling dollar and dirt-cheap bullion prices are certainly supportive of gold, Rosenberg believes that the metal tells a story of investor sentiment – a story that could be a source of concern for those interested in investor behavior or recent market history. According to data from the International Monetary Fund, China and Russia comprise the bulk of central bank gold buying over the last two years: As reported by the Business Times via Reuters, the two countries made up for as much as 85% of central bank bullion purchases during this time, accounting for 1,084 tons of the 1,280 tons of net central bank demand. This stands in contrast to the period between 2009 and 2013 when central bank buying was spread much more evenly among a greater number of countries; during this time, India, Mexico, South Korea and Thailand all made sizable purchases, with half a dozen other countries buying between 10-50 tons. While China and Russia still led the way, they accounted for only about half of the purchases. China’s reasons for buying bullion are clear. Aside from historically favoring gold, the nation seeks to diversify its $3.21 trillion in foreign exchange reserves as the yellow metal currently only makes up for 2.2% of them (compared to 75% for the U.S.). 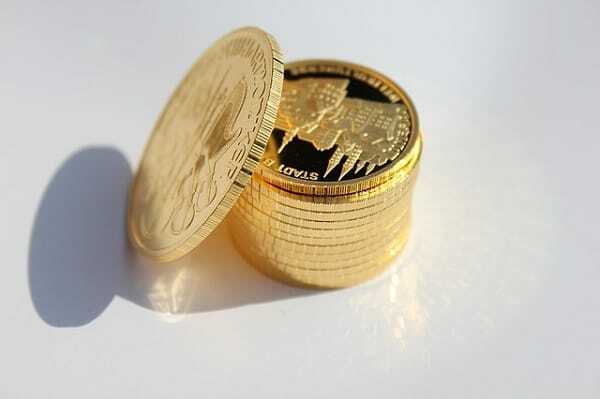 The People’s Bank of China (PBOC) also went on record saying that gold helps risk management. As for Russia, Milling-Stanley believes that their reasons are as much political as they are economic. “Russia is doing its best to rebuild its gold reserves, and of course there is a political issue… They’re not that fond of the dollar, so it makes sense for them to build up gold,” he said. Is the dollar losing its status as the world’s go-to reserve currency? Read more here.